Rockstar first started adding battle royale inspired modes into GTA Online. Their first attempt at capturing some of that PUBG feel was a mode called Dawn Raid. 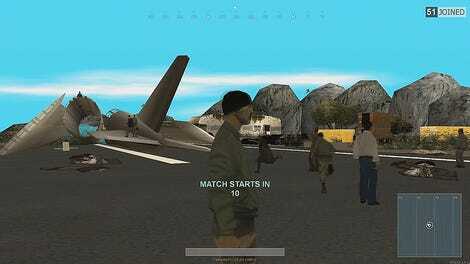 This mode had players hopping out of a plane and landing into a small area. Once on the ground, players have to search for weapons and supplies. Unlike PUBG or Fortnite, players in Dawn Raid respawn and parachute back into the match. While I enjoyed Dawn Raid, it never felt as intense as a proper battle royale mode. Death wasn’t the end, just a temporary annoyance. Plus, 12 players split into two teams isn’t as exciting as 100 players fighting to be the last one standing. Motor Wars was also focused almost entirely on vehicle combat, which was a smart choice. GTA Online’s on-foot PVP combat isn’t great, so having players use weaponized vehicles was a way to avoid the lackluster player combat. 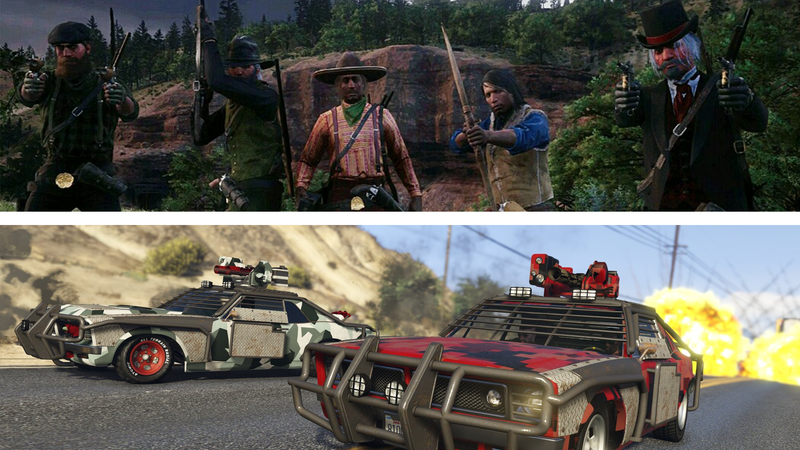 Motor Wars is the best Rockstar-created battle royale mode because it took advantage of GTA Online’s vehicles and driving gameplay and built the mode around that strength. Rockstar’s latest attempt at a battle royale mode, Gun Rush, is a step backwards from Make It Count. The first new mode added to Red Dead Online, Gun Rush is very similar to Make It Count. But as the name implies, the mode is filled with guns. This is a major problem.